With Winter finally breaking, we’ve lots of lovely flowers to look forward to in the upcoming weeks: beautiful Snowdrops – so perfect for buttonholes – and hyacinths – available in this gorgeous fuchsia, alongside a dazzling array of other colours (all beautifully scented) – that will bloom with the Spring equinox; Muscari – also known as grape hyacinth – will be flowering at the same time as well, which is lovely in bouquets and buttonholes due to its light perfume; then there are pansies, which will brighten up bouquets, vases, and gardens alike with their jewel-like hues – they’re in the same family as violas and violets, which although very similar, have a few marked differences; violets, for example, have smaller heads, whereas violas have fewer petals. Parrot tulips are a favourite of mine, with their fluffy edges and flamboyantly multi-coloured petals – they’re also like sunflowers in that their heads will seek out the sun. 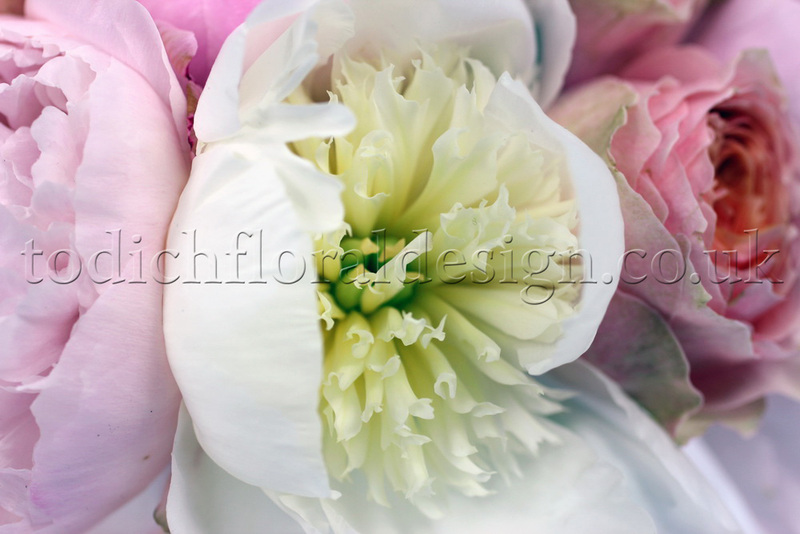 Double Late Tulips – sometimes known as Peony tulips, named as such due to their aesthetic similarity to peonies – are also incredibly beautiful; they are available slightly earlier in the season; alongside their cousins, Double Early tulips, which are available slightly. 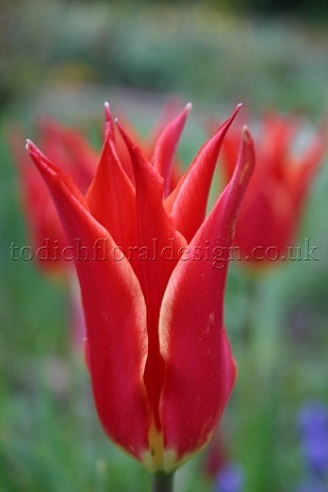 Tulips’ petals and colours change dramatically over the season, so they are really worth looking into – the Single Late tulip, for example, is the tulip that’s available the latest (around Late May) and they come in the widest array of colours and on the longest stems, making them worthy candidates for eye-catching displays. Dainty primrose have a lovely childlike appeal to them – perfect for a flower girl’s nosegay – and iris, with their intricately detailed petals and outrageous colour combinations, can really add some pizzazz to designs for brides who really want to make a statement! And, of course daffodils, ready just in time for Easter – with ‘Paperwhite’ narcissi being available now! There are so many flowers and varieties out there, so please feel free to get in contact with us to find out more! Injecting Colour into the Modern Wedding! One very exciting part of a wedding for the bride, is the chance to choose and wear a beautiful and extravagant dress, that you will wear only once in your life. As we all know, the traditional and most popular colours for dresses is either white or ivory. However, today a little splash of colour is definitely not out of the question. Colour has become quite a trend over the past few seasons. Designs and fabrics are straying away from the usual dress. The lengths of dresses are really starting to vary, fabrics are becoming lighter, and adding a bit of colour is almost becoming a must. Chiffon is one of the most popular fabrics this season. It is really something different in comparison the some of the stiff fabrics that have been used in the past. Knee-length dresses are becoming a norm, especially since weddings take place in just about any setting these days. Can you imagine wearing a long flowing wedding dress on the beach? A shorter dress definitely allows for more freedom of movement. 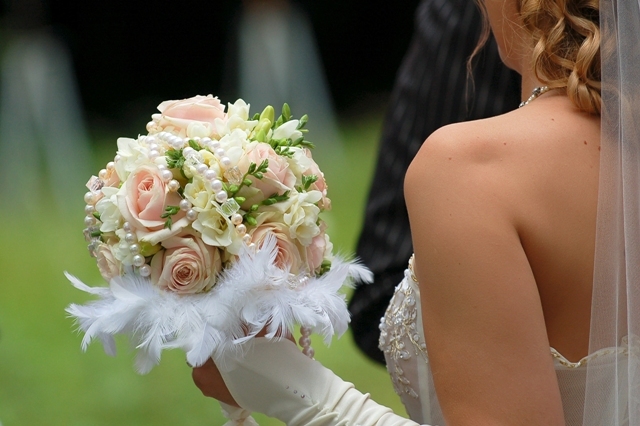 If you opt for a shorter and lighter dress, you might have to re-consider the type of bouquet you choose. A large bouquet will really draw attention away from a small flowy, knee-length dress. 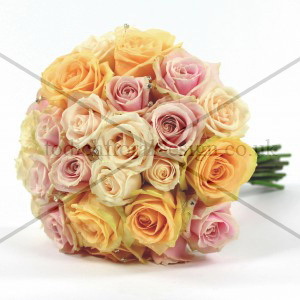 A simple, small bouquet, will suit this type of dress better. Todich Floral Design can help you pick out exactly the right bridal bouquet. There are many sample bouquets available on the web-site, so you can get some idea of what you would like. If you decide to stick to tradition in terms of the colour of your dress, colour can still be added in other ways. A brightly coloured pair of shoes, or other small details on the dress. These colours can help inspire the tones of the wedding decorations and the flowers for the bridal bouquet. Accessories can also be colourful â€“ like earrings and bracelets worn by the bride. 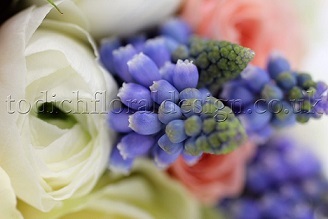 Let Todich Floral Design help you inject some colour into your upcoming wedding! In Glasgow, a new type of flower is finally in bloom! 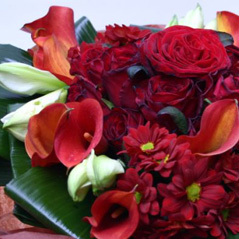 But it is not the kind that you will find blooming in your garden and certainly cannot be wrapped up in a bouquet! An underpass in the Cowcaddens area of Glasgow, really needed a bit of work. 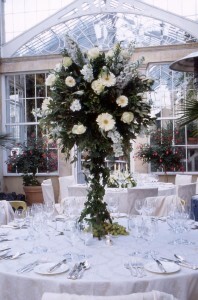 This problem was solved with the installation of aluminium flowers. 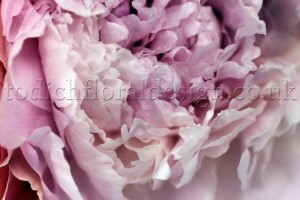 They are anywhere from five to eight meters tall with petals that are about two metres wide. There are about fifty pink, orange and yellow flowers in total to brighten up this, once, rundown area. These blooms also serve as a link between the city centre and a newly developing area. This project has been a great success, recently winning the Scottish Design Award in the â€˜Future Buildings & Spacesâ€™ category. Flowers , whether made of aluminium or straight from the garden can really serve as a means to bring people and places together. This is why they can really serve addition to an office space or for any other any other events; blooms can really be a way of drawing the eye and getting people talking. 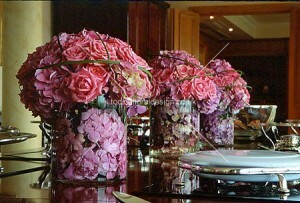 Todich Floral Design can help you realize any floral decorating ideas you might have for your next event. 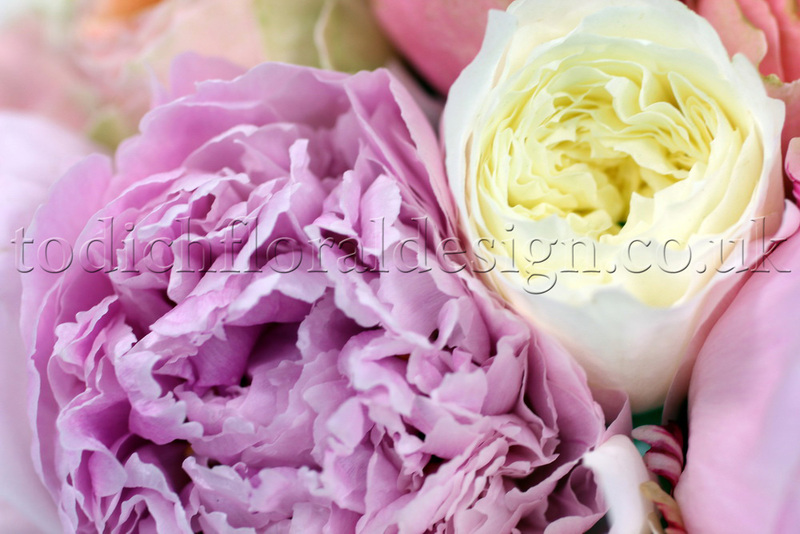 From consultation (helping you pick out exactly the design, style and flowers you need) to installation (bringing out the best in each floral creation). With our team of experts we will make you next event more memorable with ease! 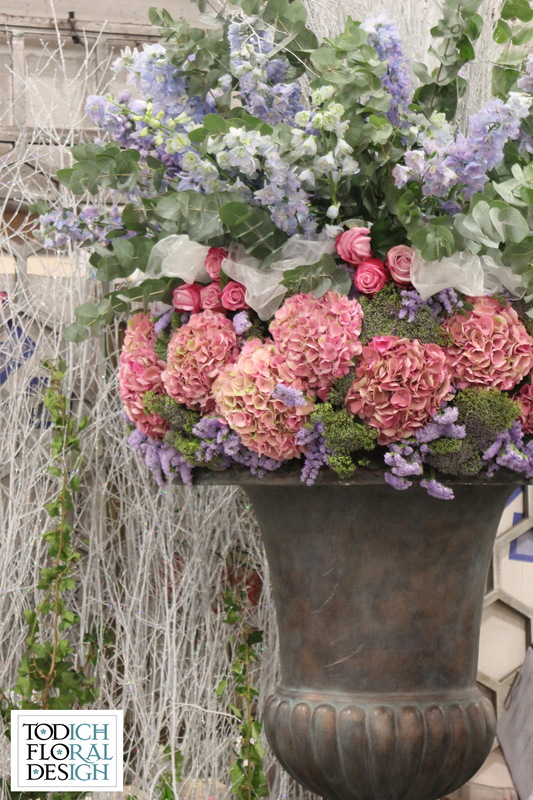 The Chelsea Flower Show is just around the corner and anticipation is high for the beautiful flower displays that are being designed at this moment. When it comes to the most expensive David DomoneyÂ is going to be showing a display that is worth a mere £10m. The display is to be called The Ace of Diamonds, and the display is to be littered with precious stones from some of the top jewellers on Bond Street. “I always endeavour to introduce something a little bit more entertaining and this is something really special. It’s high-end and extreme but with a strong horticultural message. This garden will be worth more than the rest of the show put together – worth more than this year and last year combined even,” stated Domoney. Of course security will be high, something like what we would see for a royal visit! The diamonds will be delivered to the show by helicopter. What a spectacle! The biggest garden ever to be shown was the Eden Project, but the value of the garden is at the highest ever seen by the show. When it comes to smaller events like weddings, corporate or cultural, Todich Floral Design can help you out with your design ideas. 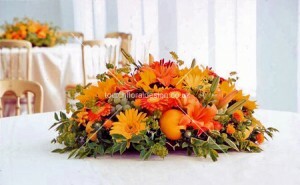 We are prepared for just about any innovative floral design and we can make just about any idea to life. Of course, a scattering of diamonds might be a little over the top! But that is definitely something worth checking out at this years show!